Can I overdose with Homeopathy? An interesting topic that is normally pounced upon by the BigPharma and Critics! I am often asked by patients whether they can overdose on Homeopathy, and I explain to them how the system works. Whether you take a single globule or a full bottle you cannot overdose on homeopathy as it does not work in this way. Homeopathy works on the number of strikes it makes against the organism, hence taking a remedy on a frequent basis will cause the organism in some cases to react in a particular manner quicker. 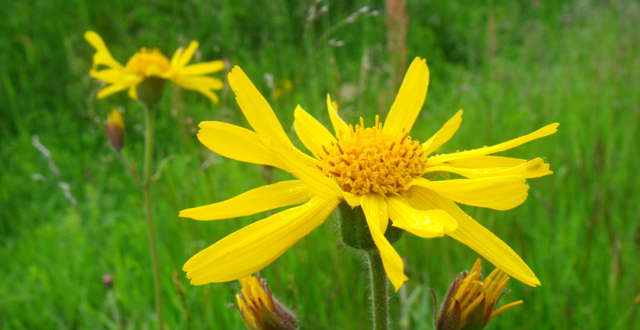 A plant belonging to the daisy family that bears yellow flowers. It is used to prepare the Homeopathic remedy widely known by the same name Arnica. Commonly used to treat bruises, and is probably one of the most widely used and known Homeopathic remedies.